On Wednesday, Water Resources and Ganga River Rejuvenation Minister Nitin Gadkari said two of Agarwal's demands were accepted. Most of the demands put forward by environmental activist GD Agarwal, who passed away at AIIMS Rishikesh following an indefinite fast demanding conservation of River Ganga, had been accepted by the government and an e-flow gazette notification was issued on Tuesday to this effect. On Wednesday, Water Resources and Ganga River Rejuvenation Minister Nitin Gadkari said two of Agarwal’s demands were accepted. “We have accepted almost all his demands (on cleaning of the Ganga). One demand was to ensure minimum environmental flow for Ganga river at various locations and we have come out with a notification,” PTI quoted Gadkari as saying. The second demand, Gadkari said, was to bring a legislation to protect the Ganga. The legislation has been sent to Cabinet for approval. 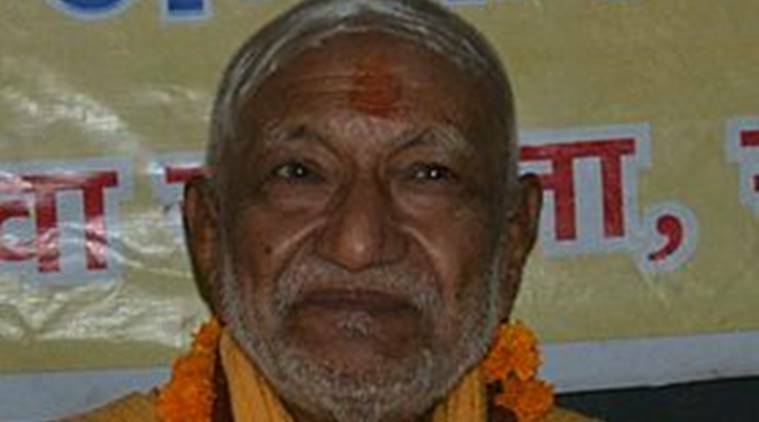 READ | Who was activist GD Agarwal? “He had some demands related to (upcoming) hydro-power projects (on river Ganga). We are trying to bring all stakeholders together and sort the issue at the earliest. I had also written a letter to him stating that we have accepted nearly 70-80 per cent of his demands and we need him and he should stop his fast,” the minister said. Agarwal, who took on the name Swami Gyan Swarup Sanand later in his life, began his fast on June 22, demanding steps to stop construction of hydroelectric projects along the river’s tributaries and enact the Ganga Protection Management Act. Prime Minister Narendra Modi expressed his condolences and said Agarwal’s passion for Ganga cleaning would be remembered always. “Saddened by the demise of GD Agarwal. His passion towards learning, education, saving the environment, particularly Ganga cleaning will always be remembered. My condolences,” Modi tweeted. However, the death of Agarwal saw the Opposition lashing out at the government on being “insensitive”. AAP Rajya Sabha member Sanjay Singh said the activist was on an indefinite hunger strike for more than 100 days and the “insensitive government” was “waiting for him to die”. “I had requested the government to save it, but those seeking votes on his name could not save him (sic),” Singh tweeted. Congress spokesperson Randeep Surjewala said the Ganga was more polluted now than it was in 2014 and wondered if the “sacrifice” of Agarwal would open the eye of the government. “Modi ji said river Ganga is calling him but it is even more polluted than it was in 2014. Rs 22,000 crore was allotted for cleaning it, not even 1/4th of it has been used. Is Namami Gange also a ‘jumla’? Maybe GD Agarwal ji’s sacrifice will provide a vision to this blind government,” ANI quoted Surjewala as saying. Former Ganga rejuvenation and water resources minister Uma Bharti said she had feared this would happen. “I am shocked by his demise. I had feared that this would happen. I have informed Nitin Gadkari and others about his demise,” Bharti said. Senior Congress leader and former environment minister Jairam Ramesh expressed anguish over his “martyrdom”. “He was an indefatigable crusader not only for Nirmal Ganga but also for Aviral Ganga. It was my privilege and good fortune to be able to implement some of his important suggestions to ensure uninterrupted flow in the Ganga and its tributaries in Uttarakhand. I salute his commitment and dedication, his scholarship and learning, his faith and passion,” Ramesh said.